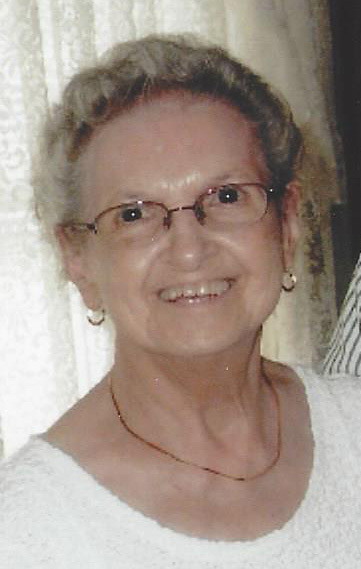 Gabrielle E. Levesque 87, formerly of Deerfield Commons, St. Paul St., N. Smithfield, died August 31, 2018 at the Philip Hulitar Center. She was the beloved wife of the late Philippe H. Levesque Jr. for 63 years. Born in Woonsocket, she was a daughter of the late Edouard and Aurore (Lamothe) Dutremble. She lived most of her life in Woonsocket before moving to North Smithfield. Gaby was a sales clerk for the former Harvey’s Bridal Shop, Concannon’s Gift Shop and House of Cards and Kornsteins Department Store retiring in 1976. She truly enjoyed company and conversation with family and friends. Anyone that knew her, knew that the phone was her friend. She is survived by two sisters, Doris Callegaro and Cecile Remillard, three generations of nieces and nephews, cousins, inlaws, and many lifelong friends. She was predeceased by her brother Jean Rene Dutremble Sr., and sister Jeanne d’Arc Lynch. A Mass of Christian Burial will be held Friday September 7, 2018 at 10:00 AM in All Saints Church, Rathbun St. Woonsocket. Burial will follow in Precious Blood Cemetery. The family will begin receiving guests in church at 9:30 AM. In lieu of flowers donations to Darlington Memory Lane, 1073 Mineral Spring Ave, North Providence, RI 02904 in her memory would be appreciated.